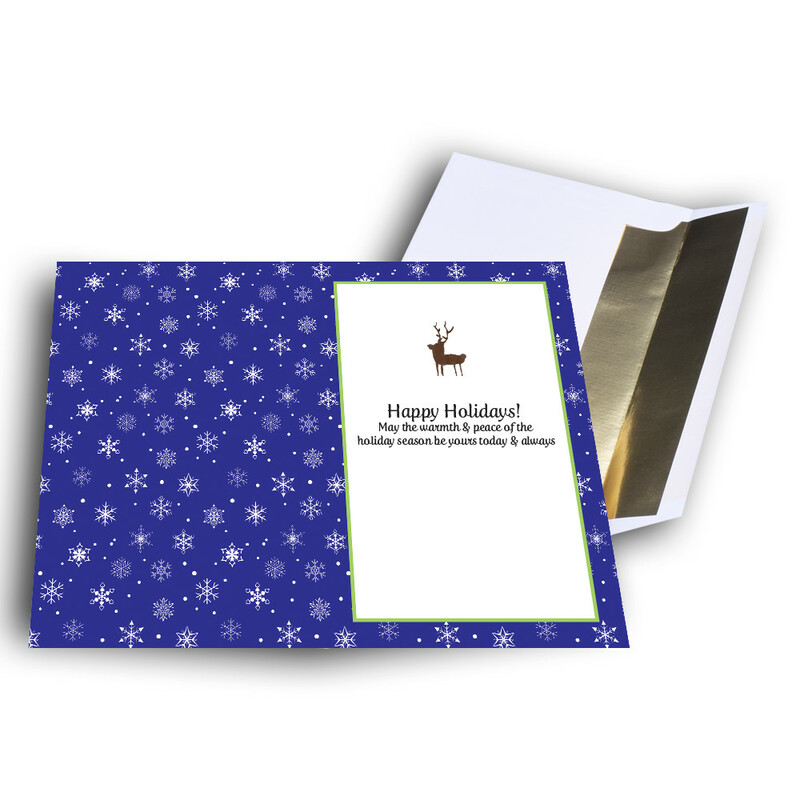 Send some cheer to those who are "deer" to you, this holiday season. 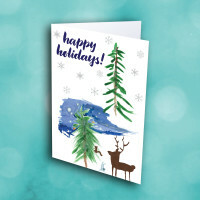 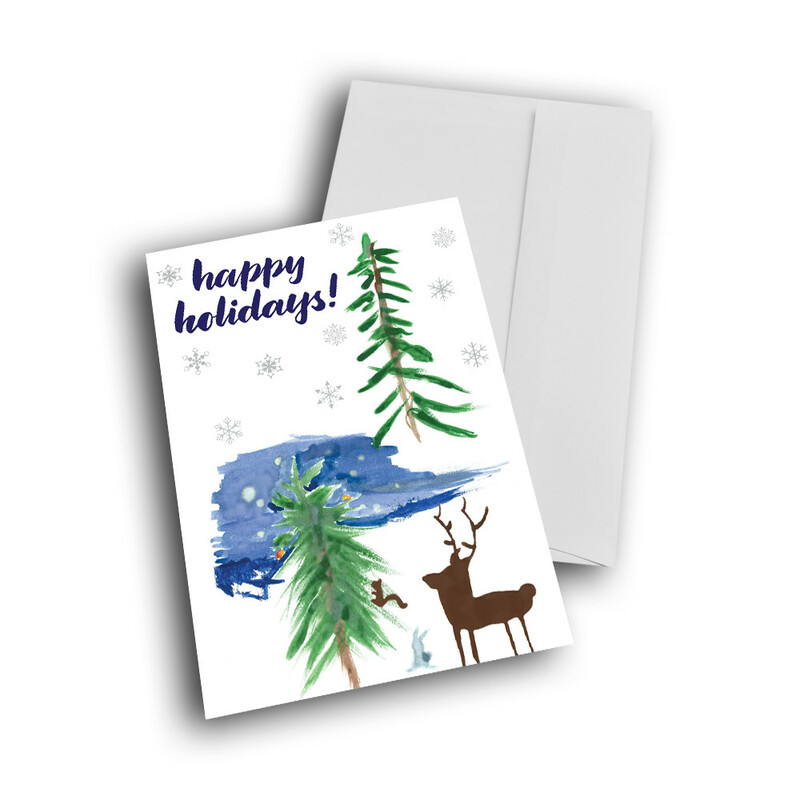 This artistic holiday card is the perfect way to spread some holiday festivity. An artsy raindeer stands tall among trees and snowflakes, with some other animal friends. 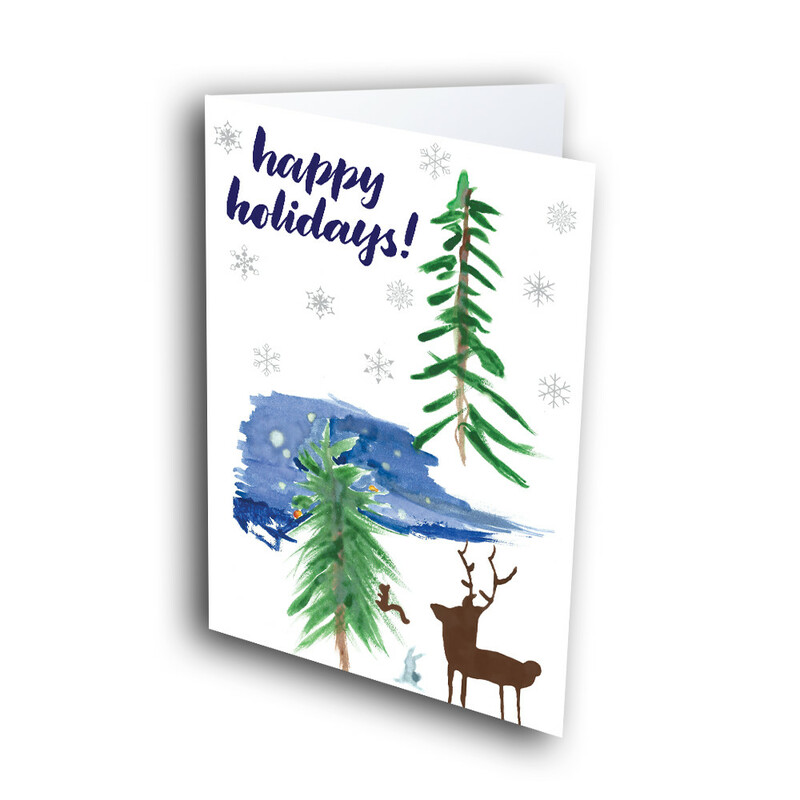 The art style is simple but endearing, and sure to bring joy to those who recieve it. 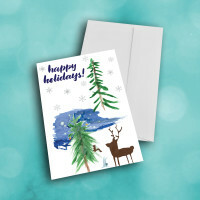 The inside features a deep-blue background adorned with delicate snowflakes, as well as a warm message. 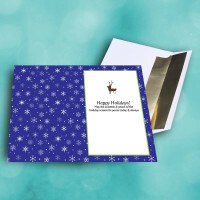 Add personalization to give the card your individual touch.